Running time: Two hours and 15 minutes, performed with one 15-minute intermission. Click here to watch the show trailer! Kim Wong, Justine Salata, Austen Danielle Bohmer and Harveen Sandhu. Photo by Jerry Naunheim, Jr.
Justine Salata. 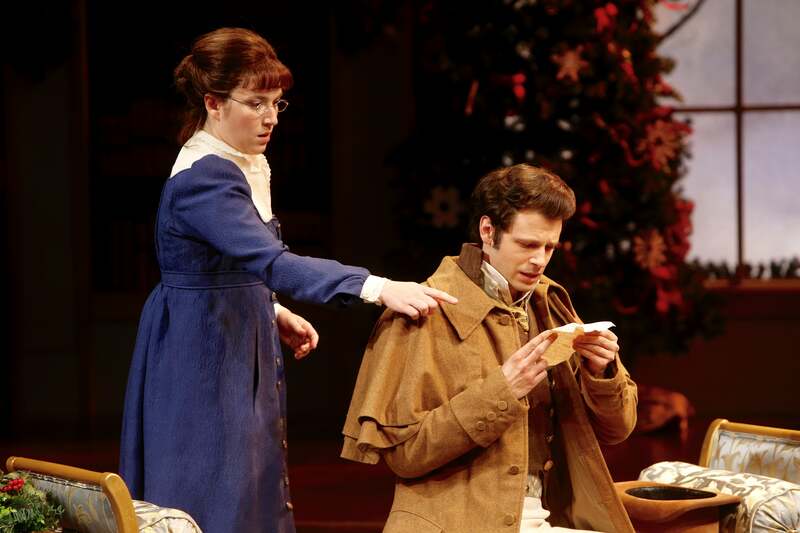 Photo by Jerry Naunheim, Jr.
Austen Danielle Bohmer and Miles G. Jackson. Photo by Jerry Naunheim, Jr.
Victoria Frings. Photo by Jerry Naunheim, Jr.
Harveen Sandhu and Rhett Guter. Photo by Jerry Naunheim, Jr. Miles G. Jackson. Photo by Jerry Naunheim, Jr.
Justine Salata and Miles G. Jackson. Photo by Jerry Naunheim, Jr.
Harveen Sandhu and Austen Danielle Bohmer. Photo by Jerry Naunheim, Jr. Miles G. Jackson and Justine Salata. Photo by Jerry Naunheim, Jr.
Harveen Sandhu and Kim Wong. 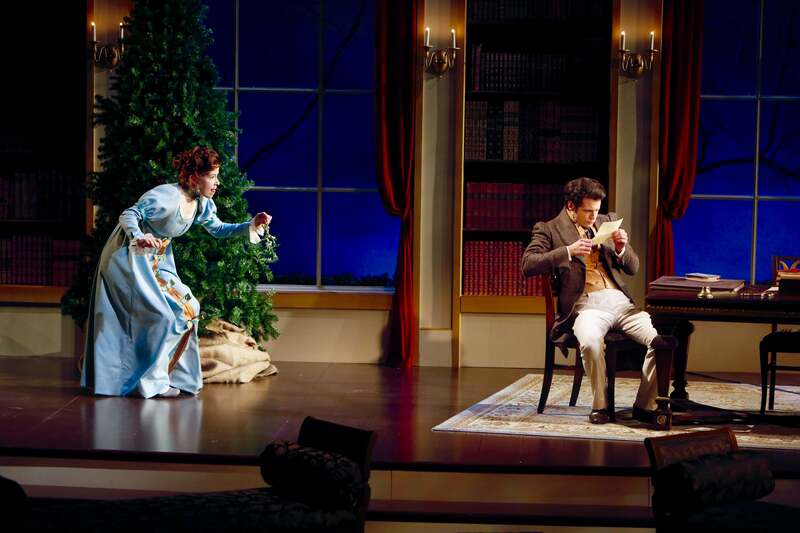 Photo by Jerry Naunheim, Jr.
Join us for a Talk Theatre presentation about Miss Bennet: Christmas at Pemberley on Monday, December 4. Our annual Production Showcase! Take a closer look at the set, the costumes, and the talented artisans who make magic happen on The Rep stage. This Talk Theatre will take place at the Loretto-Hilton Center for the Performing Arts, 130 Edgar Road. Tickets are $18 and available here. Stay for Post-Show Discussions with cast members and Rep staff after the following performances: December 6 (matinee), December 7, December 14 and December 20. 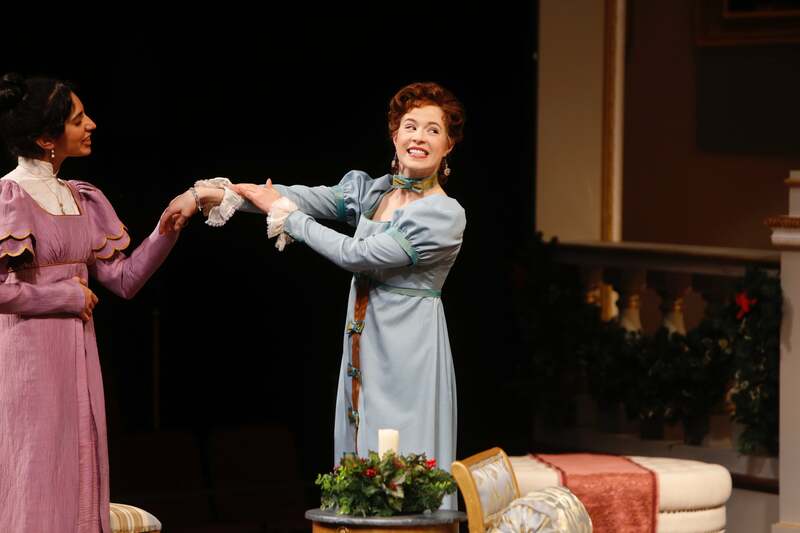 Read our Miss Bennet Play Guide for a deeper dive into the characters and background of the play. Find books, music and movies from our partners at St. Louis County Library that will deepen your understanding of the play. See their curated list of materials here. Celebrate the 242nd birthday of Jane Austen at the Novel Neighbor with refreshments, crafts, games and prizes. 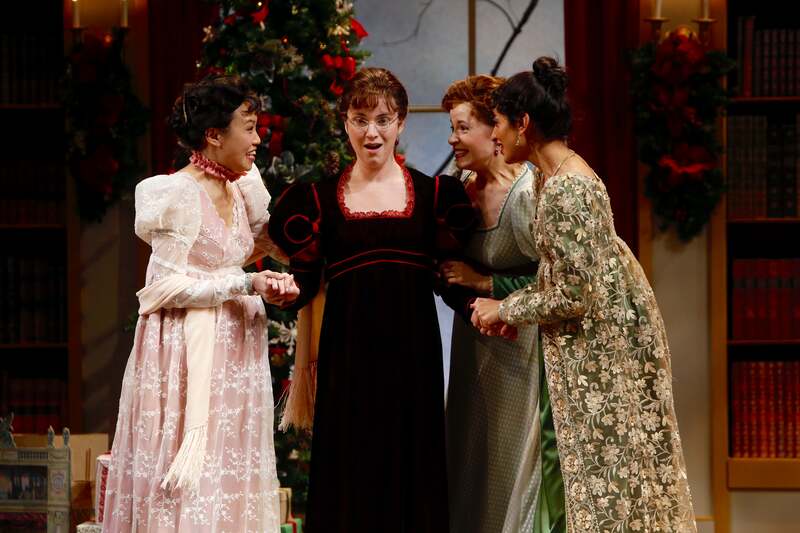 Local experts in period dress will be on hand to discuss 19th Century holiday traditions, and feel free to don your favorite Austen-inspired party wear! 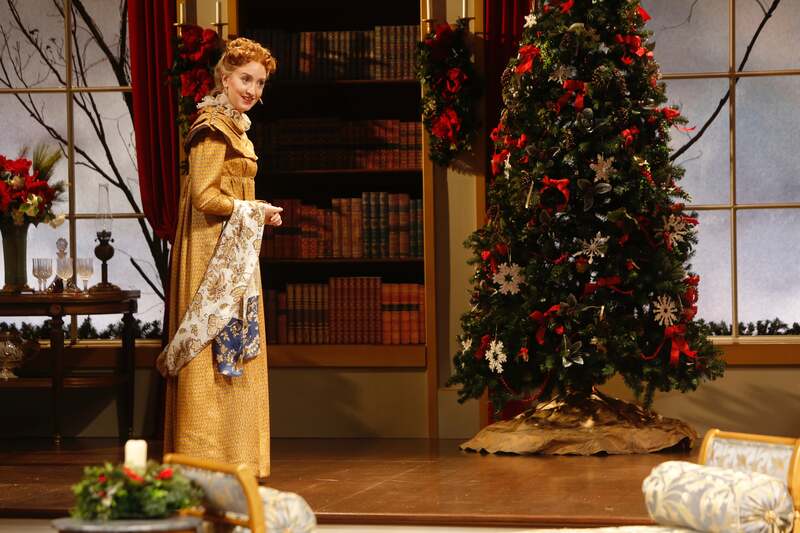 Take a selfie as your favorite Bennet sister, posing behind life-sized costume renderings for The Repertory Theatre of St. Louis’ holiday production Miss Bennet: Christmas at Pemberley. Tickets can be purchased at thenovelneighbor.com. 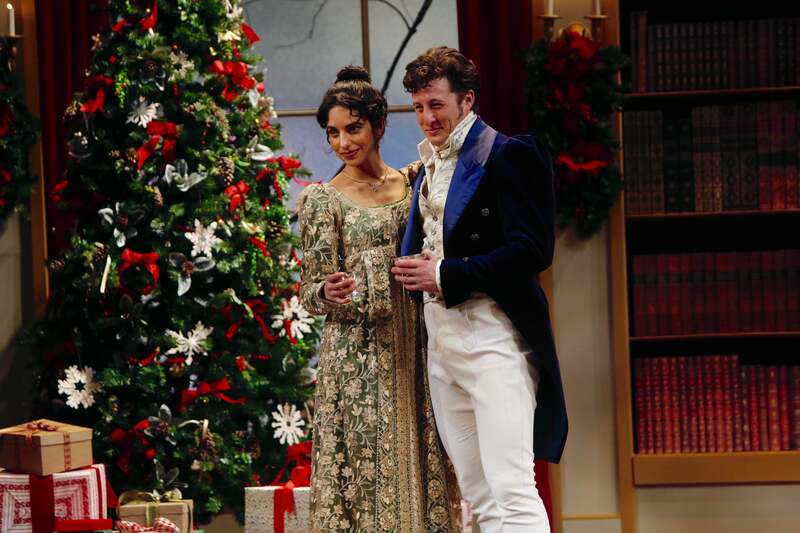 $10 for adults, $7 for Austen fans 17 and under. 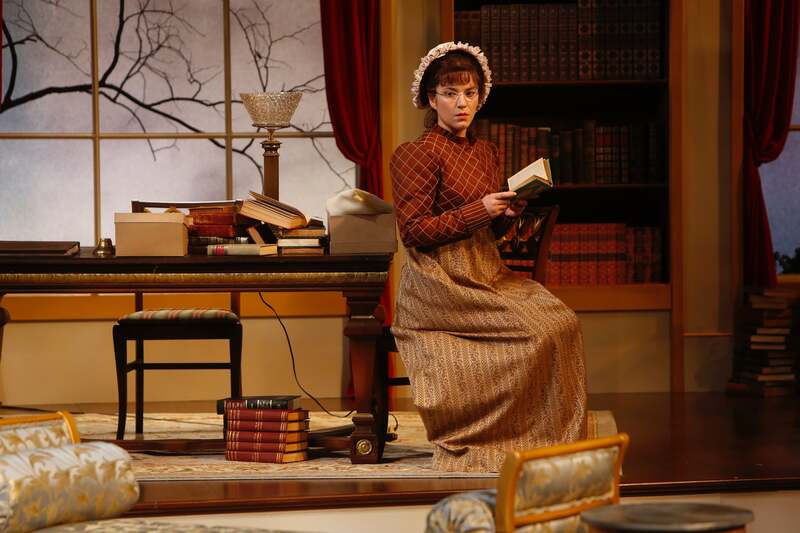 Miss Bennet is recommended for general audiences. The show’s holiday romance is fun for families, but the running time may be too long for the youngest attention spans. 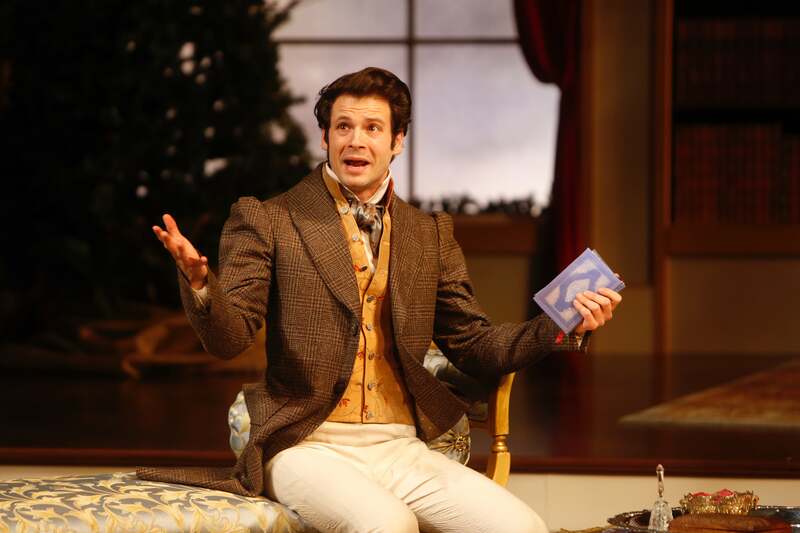 The Rep offers Open Captioning seats in the Left Bay as well as Live Audio Description for the 2 p.m. December 24 performance of Miss Bennet: Christmas at Pemberley. Hearing-impaired patrons can purchase those tickets here. Please note that Open Captioning Seats are only available in the Left Bay area. At performances presented with Open Captioning, the dialogue spoken or sung by the actors on stage is also displayed in text on an electronic screen visible to one section of the seating area. Much like Closed Captioning for television programs, Open Captioning presents the spoken or sung portions, as well as sound effects, of the performance in a format accessible to deaf audience members or to patrons who may have difficulty hearing clearly. Patrons who wish to listen in to live audio description provided by MindsEye Radio can purchase tickets anywhere in the theatre. The description begins with program notes and stage description 10 minutes prior to the performance. Visual moments of the performance will be described without interfering with the dialogue. 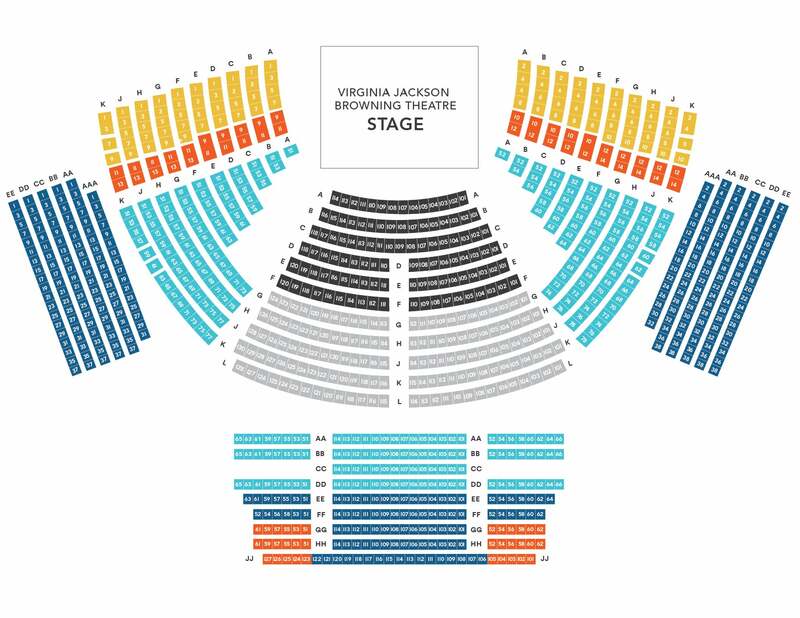 To reserve tickets and description devices, please call the Box Office at 314-968-4925.